We’ve been lucky to get the chance to collaborate with clients that care about their work just as much as we do. 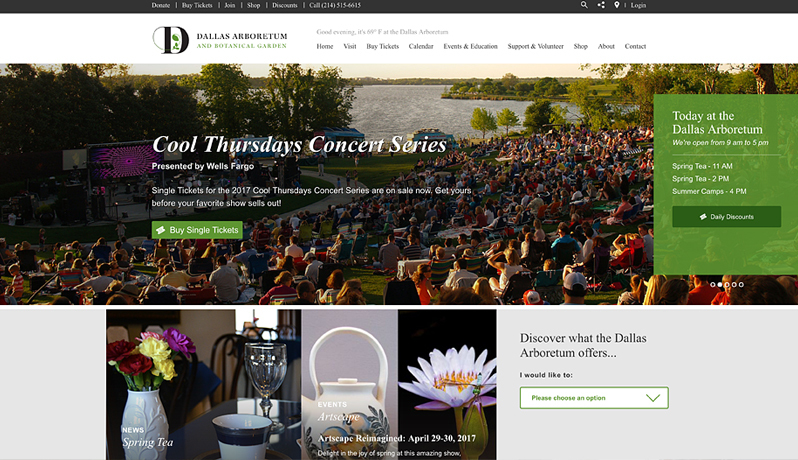 Our partnership with the Dallas Arboretum has been growing since 2012, and we are excited about every chance we have to work with their incredible team. 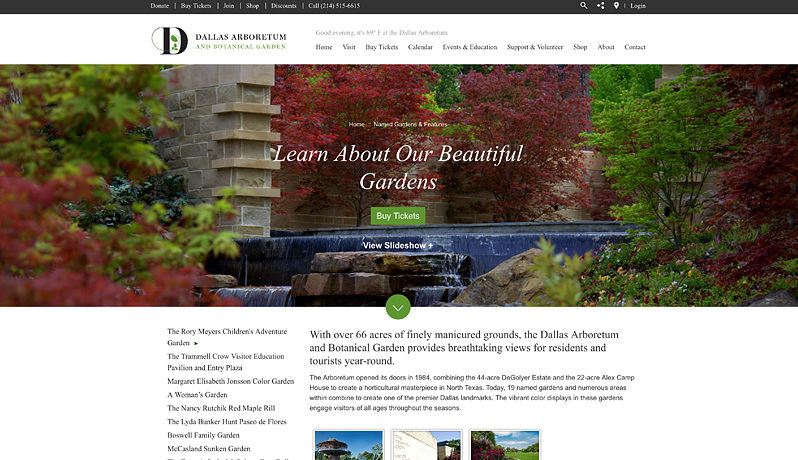 In the third and most recent version of the Arboretum’s website we have built, we were able to use the awesome new logo from our friends at Pentagram while we designed an updated site that is able to better serve users and garden patrons. On this latest edition of the website, we were also able to integrate third-party software and figure out new ways to boost ticket and membership sales. With every challenge comes a lesson, and we were fortunate to get a project with a client so willing to collaborate and innovate alongside our team. 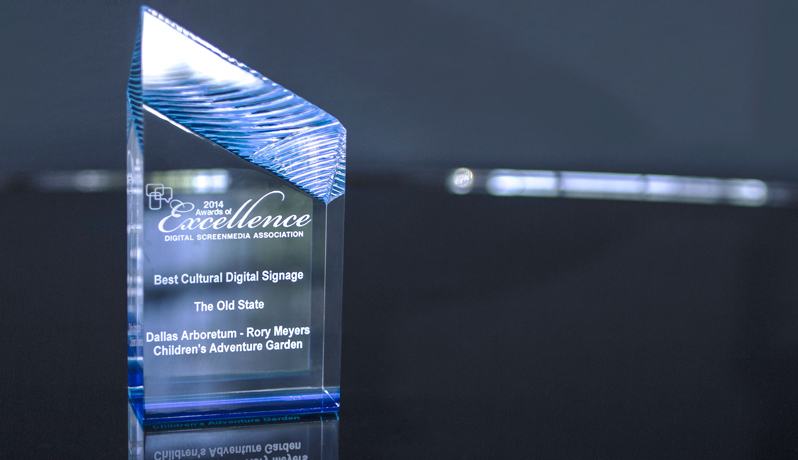 In addition to continuing website work, we were able to provide content strategy and develop a series of interfaces for interactive kiosks throughout the gardens. We designed, illustrated, and developed 980 games that are currently in use in the Children’s Garden, and we support all 130 touch screens on an ongoing basis. However, innovation never comes without its share of challenges. Our team was faced with figuring out the logistics behind powering 130 outdoor screens through unpredictable Texas winters and summers. Even though these projects can seem intimidating, we never turn down a chance to learn something new and serve our clients in the best way possible. Located just down the street from the Arboretum, we all feel that it is our duty to keep our neighborhood successful. By being so closely intertwined and pushing towards mutual growth, we’ve been amazed with our success and can’t wait to see what we can do next.